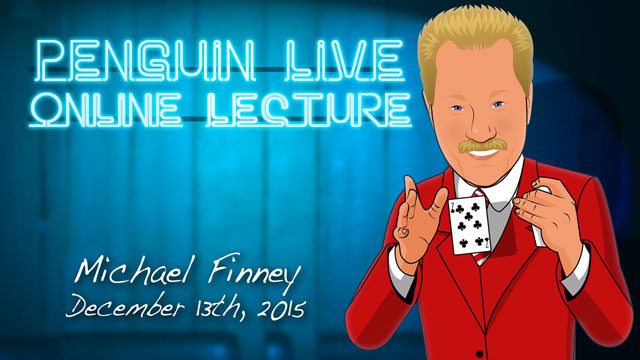 Today, when you order "Michael Finney LIVE", you'll instantly be emailed a Penguin Magic gift certificate. You can spend it on anything you like at Penguin, just like cash. Just complete your order as normal, and within seconds you'll get an email with your gift certificate. 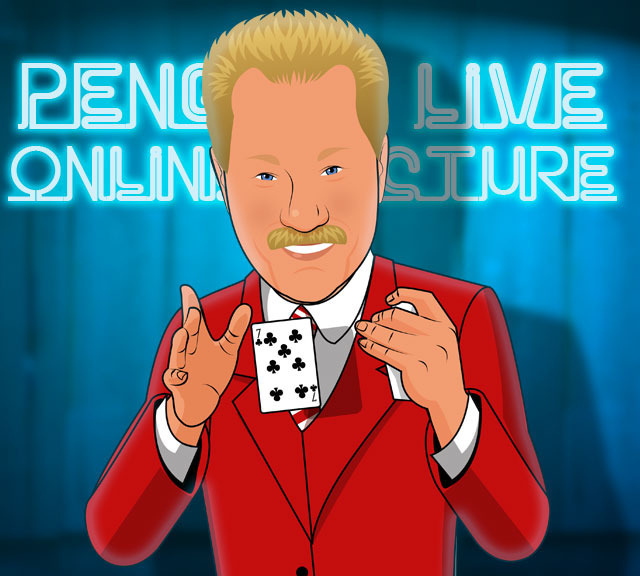 Michael Finney LIVE (Penguin LIVE) This multi-award winning comedy magician is sure to be extremely educational AND entertaining! SUPPORT LIVE MAGIC. DOWNLOAD THE FULL LECTURE TODAY. 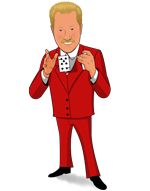 Michael Finney is a multi-award winning comedy magician with more than 35 years in the business. 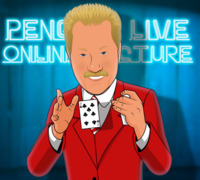 After spending part of his early career as a close-up magician and a children's performer at a theme park, Finney decided to concentrate strictly on comedy magic and has since performed around the world – including at the 2004 Inaugural Gala for President George W. Bush, and London’s famed Palladium Theater. He was a comedy finalist on Star Search, hosted by Ed McMahon, and was a regular performer on NBC’s World’s Greatest Magicians and World’s Wildest Magic Shows. Michael received the Silver Lion's Head award from Seigfried and Roy for excellence in comedy and magic performance. Soon after, he was awarded Comedy Magician of the Year and Parlor Magician of the Year by the Academy of Magical Arts, The Magic Castle in Los Angeles, voted one of the top 10 comedy magicians in the world by his peers in 2008. In 2009, Michael received the world comedy magic act of the year presented to him by Gay Blackstone. Finney is one of only a few magicians with their own foundation, The Michael Finney Foundation. His charities are associated with the Gift of Life, a Rotarian group that provides operations for children with heart defects, and The Wounded Warrior programs: Operation One Voice and Hope for the Warriors. His foundation is nearing 1,000,000.00 donated to the charities as of Jan of 2015. Purchase the Michael Finney LIVE product. This is your ticket. Michael Finney is one of the nicest guys working in magic today. His lecture was fun, story driven and filled with real world material. If you are looking for a lecture packed with tricks and effects to learn this is not it. If you want to hear tips from a working pro that can enhance what you already do this is for you. He starts off with a detailed construction of his glitter card gimmick, which can add a bit of sparkle to the end of any 6 card repeat routine. He moves onto how the simple addition of a table top or table cover can individualize an act and add perceived value to your performance. Finney then tips his Gim-Crack style microphone holder which is worth making to add you a bit more professionalism to your act. He then presents his thoughts on D’Lite and its use in an instant magician routine. He then shares his Lady Rope Routine and how he changes it for fit whatever audiences he performs for. His notes on the cut and restored effect, what to say to the audience member after the effect, the type of rope to use, and the type of scissors to use all help create a masterclass for his effect. It is fun to watch and great to learn! The second half of the lecture was based on networking, picking up local work, business stories. Finney shares his perspective on the business of show business and his life in magic. This lecture overall was fun and a good experience to watch. If you are a trick junkie looking for your next great effect don’t get this lecture, but If you enjoy Michael’s work, and want to hear about show business from a working professional, than this may be the lecture for you. I was actually at the lecture live and I have to say this lecture is great. I actually know Finney personally and I still learn stuff every time I see him. His jokes NEVER get old no matter how many times you hear them. He goes into great detail on the business side of magic. NO JOKE, THIS IS THE BEST LECTURE THAT YOU CAN BUY. He is just a great man overall. His lady rope routine is just awesome. I am know more inspired to do magic and get better. But the best part of it was he says over and over that patter is better than the trick. He also helps you right your own material. So all I can say is, BUY BUY BUY THIS LECTURE NOW. Michael Finney is a class act! both, on and off stage. 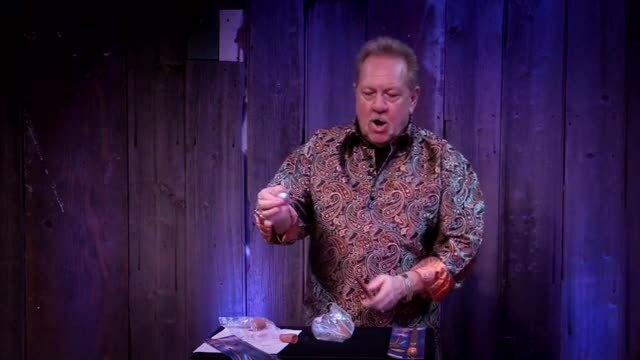 In this lecture not only will you learn some real world work on a few classics of magic but if you want to do magic for a living, there is some priceless information on being AND looking professional. Plus tips on getting yourself gigs!! This is not the first time I've seen one of Michael's lectures. 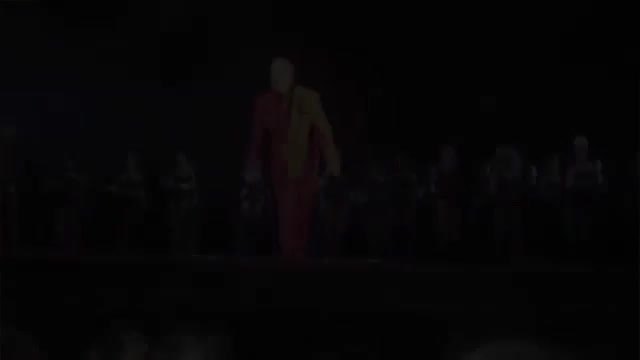 The score of a 5 is inclusive of not only the proven magic and routining Michael has mastered over the years that have allowed his longevity in this industry, but also the psychology of being a performer, relating to your audience, respecting and appreciating your audience so their experience is not only entertaining, but personal. Mike shares all and answers questions you might not have considered. Thank you for sharing you and your magic Michael. One of the best Penguin Live Lectures so far. You don't need more tricks, you need the wisdom and perspective of a seasoned pro, and that's what you get in this lecture. I'm very impressed at how much he just put it all out there, for us to learn from as we may. Thank you, Michael, you've given us the real work. In the begining of the lecture Michael saied "I don't know a lot of magic and probably some people from the audience know more than me. So I cannot teach you a lot of tricks" I thought that was just a joke, but he was serious. Then how come this guy became so famous and successful? Because he loves magic, he is funny, he is sincere and he respects his audience. If you watch this lecture you are going to love this guy too. But dont think for a minute that because he doesn't focus on teaching tricks this lecture is not worth your money and your time. The hints and tips, the stories and the life experiences he shares are just PRICELESS. So, kick off your shoes, relax, open your eyes and ears and enjoy this lecture, because Michael has a lot to offer and you will be sorry if you miss it. One of the best Penguin Live lectures yet. You don't need to know any more tricks, you need to know how the business actually works. Priceless insight and good stories from a sincere man with more experience than you could hope for. This is a rare glimpse into the mind & soul of a wonderfully talented magician. He gives tremendous insight into the craft he has spent decades refining. I would love to meet him, just to shake his hand & thank him for this video: and thanks also to Penguin for sharing his genius. I was at this lecture! It was funny and informative. Everything you would expect from Michael and more! Worth getting! I have given this lecture five stars purely for the advice that was given. However, the sound volume was so low that I felt I was having to lip read at times which is a shame.